What is Pyrene? 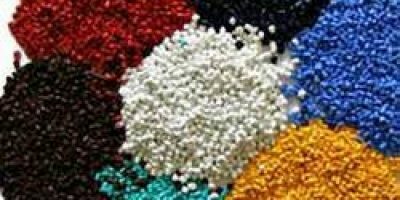 Pyrene is a chemical from the family of polycyclic aromatic hydrocarbons (PAHs) which is composed of several chemically similar compounds found frequently in the environment normally as a result of incomplete combustion. Pyrene takes a crystalline form that is pale yellow in colour in its pure form. Properties of Pyrene: The chemical formula for Pyrene is C6H10. It has a molecular structure consisting of four benzene rings fused together making it the smallest peri-fused PAH. It is characterized by a high melting point of around 151 degree Celcius and a boiling point of 404 degrees Celcius meaning it exists normally in a solid form. It has a low vapor pressure and is very slightly soluble in water. However due to its lipophilic nature it can readily dissolve in some organic solvents. Pyrene is formed after the process of thermal decomposition and subsequent recombination. This is a frequent occurrence during various combustion processes such as burning of grass or forests, incomplete combustion in petrol engines and burning of coal and coal tar. The structure of pyrene makes it resonantly stable which means it is more readily formed during combustion processes.It is made synthetically from the distillation of coal tar and from petroleum cracking. 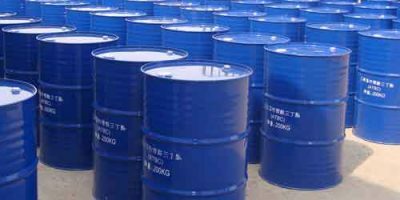 Industrial Importance of Pyrene: The major application of Pyrene results from its fluorescent properties in solution which is why it is used to make fluorescent dyes. These are chemicals which can get excited by the action of light and emit light at a different wavelength to that of the incident. The emitted light is usually of a longer wavelength and in the case of Pyrene it is usually of a characteristic blue color although this can vary depending on the compound of Pyrene and the nature of solvent. This is possible because the excited state of Pyrene has a non planar structure which is different from its stable form. The emission bands of light are also affected by the polarity of different solvents which makes it a suitable solvent probe. Pyrene is used widely in the making of fluorescent dyes and precursors which are used in research to mark other compounds under observation and even molecules in fluorescent spectroscopy. Harmful Effects of Pyrene: Pyrene falls under the category of a list of chemicals that are labeled as toxic and harmful to the human body. They have a negative effect on the immune system causing it to slow down. Research has also shown Pyrene to show carcinogenic properties. As a result long term exposure or inhalation of Pyrene is strictly inadvisable. Long term exposure to Pyrene and its derivatives van cause kidney and liver damage, jaundice and cataracts. It can cause inflammation of the skin and breakdown of red blood cells. Pyrene and its compounds have also been linked to increased risk of skin, lung and gastrointestinal cancers.